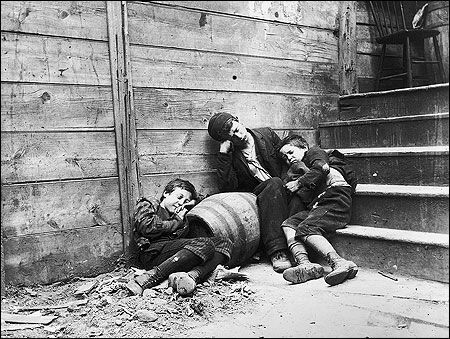 The poor or lower class of the Victorian era had a very rough life. The Industrial revolution had taken what many would consider to be medium class and left them without jobs. This quickly made them into the lower class citizens as there were very few jobs that they were capable of finding at this time. One of the major problems was the immigration of the country. The country was growing so rapidly that the number of jobs just could not justify it. Therefore, the middle class not only would lose their jobs and have to find another, but they had to compete with immigrants for work. This drove the prices down on the wages and most poor class families struggled to even put food on the table. The worst part for poor class families is that many needed their children to help work. Child labor was a terrible problem and it was no longer just the father that would bring home enough money for food. During this time, if the father got sick or died the family would often be kicked to the streets where they would live in some place like public housing. This type of housing was in the older parts of town where streets were dangerous and diseases were running rampant. 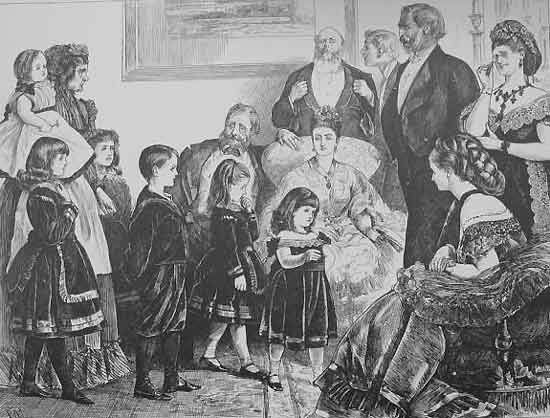 Often many families would crowd into a single room for simply some place to lay their head. Other times, children may be separated from parents and forced to work in harsh working conditions. The middle class, on the other hand, had a very successful time in the Victorian era. To be quite honest, by today’s standard, this would not be middle class, it would simply be upper class. However, many people considered the rich to be middle class if they did not have anything to do with royalty. They were merely very wealthy business owners that maybe did not associate with royalty parties or occasions. Therefore, the rich middle class was a very wealthy class. The problem with the Victorian era is that there were very few families that had relatively nice homes, enough to eat on, and a decently successful career. You either had the money or you didn’t, which in reality probably drove the middle class to extinction for a time throughout the Victorian era. Check out the typical Victorian salaries.